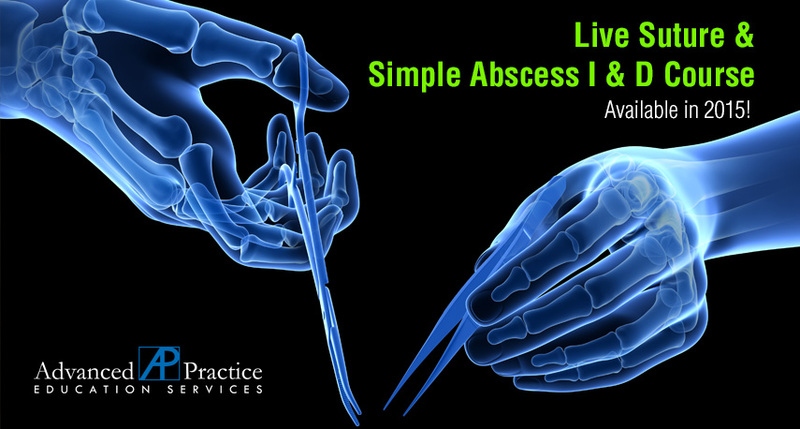 Advanced Practice - Hands On Continuing Education Specialists. Committed to Excellence! 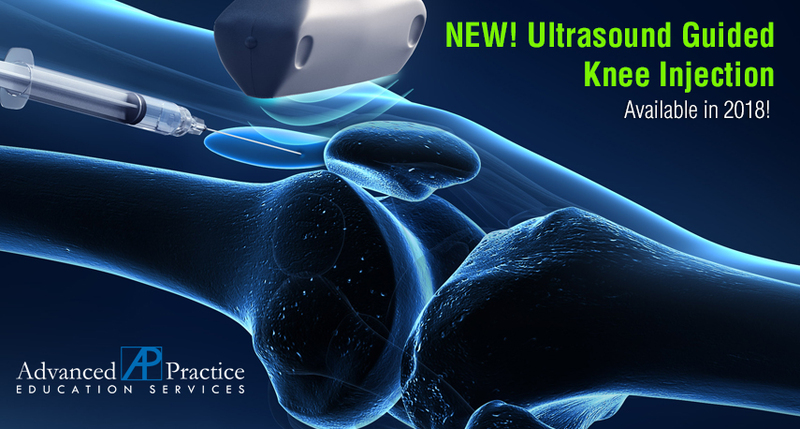 Click on the video above to learn more about Advanced Practice. 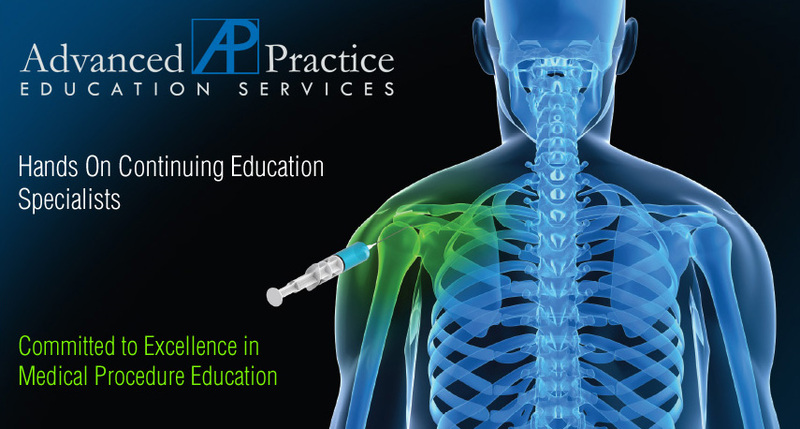 The online Joint & Trigger Point Injection Program is approved for a maximum of 10 contact hour(s) of continuing education (which includes 2.0 hours of pharmacology) by the American Academy of Nurse Practitioners. Program ID 19033610. 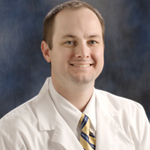 Andy Austin FNP-C, FAAPM received the honor of 2010 AANP Nurse Practitioner State Award for Excellence in Clinical Practice. This prestigious award is given annually to a dedicated nurse practitioner in each state who demonstrates excellence in their area of practice. Great course for NPs and MDs to really learn bursa and joint injections with confidence. 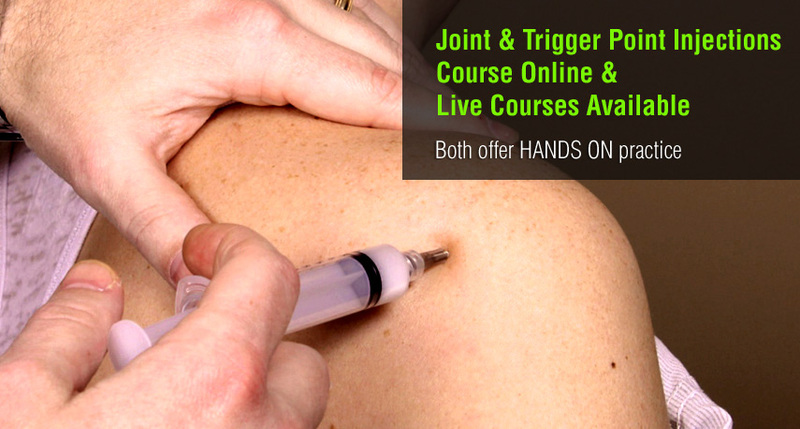 This course is a fantastic learning experience for the NP/PA to expand their practice to include joint and trigger point injections. I found the information very helpful and feel comfortable to begin performing the procedures immediately in my practice. The injection course was incredibly helpful. 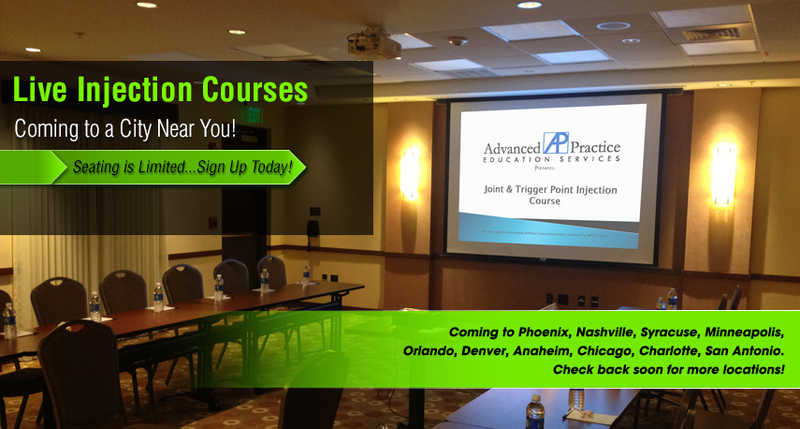 The models provide the hands-on practice that is absolutely essential to master joint injections. Perfect. Excellent workshop, I will be providing my patients an additional service they need, Thanks. Thanks Andy. Enjoyed the course, very concise and simple, just what I needed. We really appreciated all your effort and knowledge you shared with the UCA faculty! I hope we can continue our partnership in the future.